Ledger, the French company known for its range of bitcoin hardware wallets, has launched a new extension of its product line: the Ledger Blue. Billed as “the most advanced hardware wallet on the market today”, the Ledger Blue is a significant departure from the thumbdrive style of Ledger’s previous products. With a 320 x 480 pixel screen (along with BlueTooth and near-field communication (NFC) capability), it’s a handheld touchscreen device that can run a number of different applications. In a video call, Ledger CEO Eric Larchevêque talked to CoinDesk about the product’s evolution, design philosophy and target market. Ledger launched its first product, the Ledger Nano, in December 2014, marketed at the time as a small, secure and low-cost hardware wallet. Then, earlier this year, the Nano S was released – a line extension that included both a small LED screen and support for other cryptocurrencies like ethereum and litecoin. 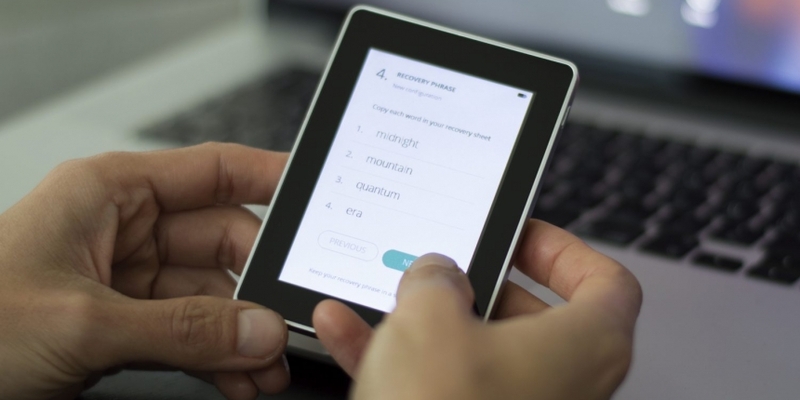 (Ultimately, it was hailed as a more affordable competitor to the popular Trezor wallet). The launch of the Blue now comes as as a response to the increasingly complex needs of an ecosystem that now includes smart contracts, token exchanges and other types of asset trading – creating a situation where transactions and contracts can involve multiple parties and variables, each of which the signatory needs to verify. The amount of screen real estate means that an application can present multiple data fields for inspection before the final confirmation is given, an essential step when a contract will then automatically execute itself. “With the blockchain, so much of the security relies on the endpoint – that’s why it’s really important to know that what you see is what you sign,” Larchevêque said. The Blue also includes support for a range of cryptocurrencies: the device’s technical spec currently lists bitcoin, ethereum, Zcash, Dash and Monero, along with the ability to integrate with other wallet providers like Electrum and Mycelium. According to Ledger’s description of its custom-built Blockchain Open Ledger Operating System, these different currency handling applications are run in isolation from each other and cannot access memory or storage used by another, meaning that cryptographic secrets should remain safe even if one application is compromised. The Ledger Blue is also built with open-source principles in mind both for software and hardware design. Whereas most smart devices ship with completely sealed enclosures, the Blue’s case is held in place magnetically and can be detached. In a video demonstration, Larchevêque showed the case quickly separating and reattaching to reveal the components inside, a design choice which reflects the assumption that this is a product geared toward technically skilled end users. “We already know that crypto asset enthusiasts want to have a powerful, best-in-class hardware wallet. But the new customers we want to reach with this product are enterprise customers … who are already starting to build solutions on the blockchain using our products,” Larchevêque said. Some enterprise clients that have already signed up include Monax and Stratumn, two enterprise blockchain platforms which will use the Blue as a hardware endpoint for their services. With its enterprise SDK included with the product, Ledger is also hoping to attract developers to the platform. The product, priced at €229 before VAT, is decidedly high-end, but looks to offer a vastly different user experience to anything currently on the market. Once the first units reach consumers, we’ll no doubt be hearing a range of feedback on how it compares. The Ledger Blue is available for pre-order today, with devices expected to ship by December 18th. Customers can get 20% off for Black Friday weekend only with promo code BBF21.